Easily holds materials with large surface areas and thin profiles that a vise just can’t handle. 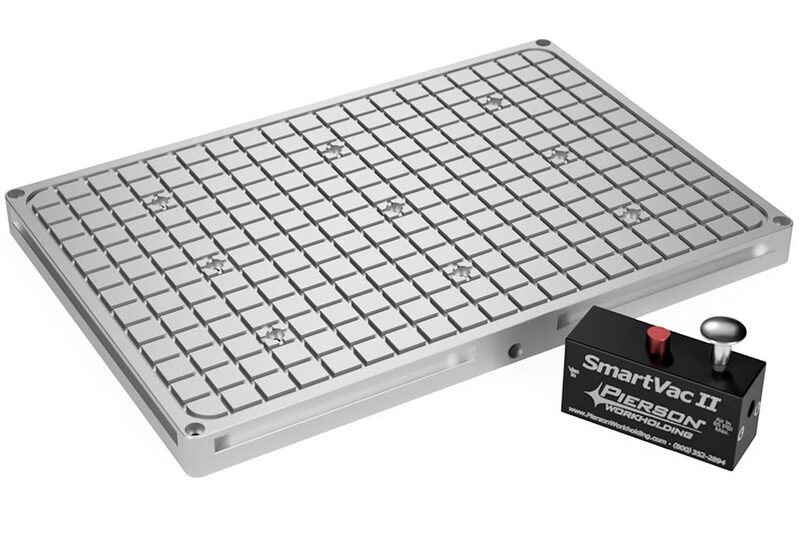 For custom shaped parts our Top Plates are easily modified to create gasket channels that match the part’s shape. The Vacuum Power Unit only requires 85 psi of compressed air to draw a powerful 28” Hg of vacuum. Holding 4 parts with access to 3 sides each is a MAJOR advantage over traditional vise workholding. Body made of nickel plated thru-hardened ductile cast iron. 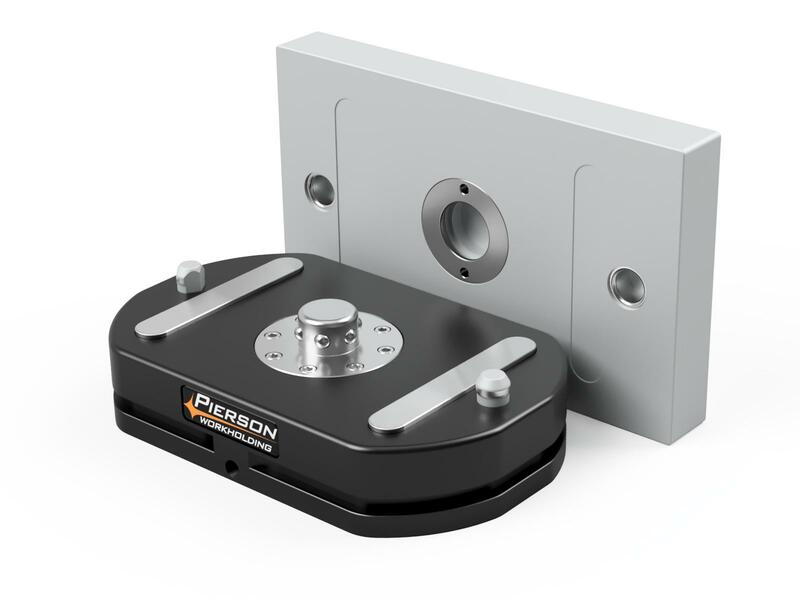 The compact design means no tailstock is needed. Fits any brand of rotary table that uses 4 or 6 t-slot platters. Swapping identical fixtures in and out of your machine in 15 seconds minimizes idle spindle time and maximizes profits. The Base consists of a cast iron core and hardened stainless components housed in a hard anodized aluminum body. Dual radial locking mechanisms provide over 3000lbs of downward force. 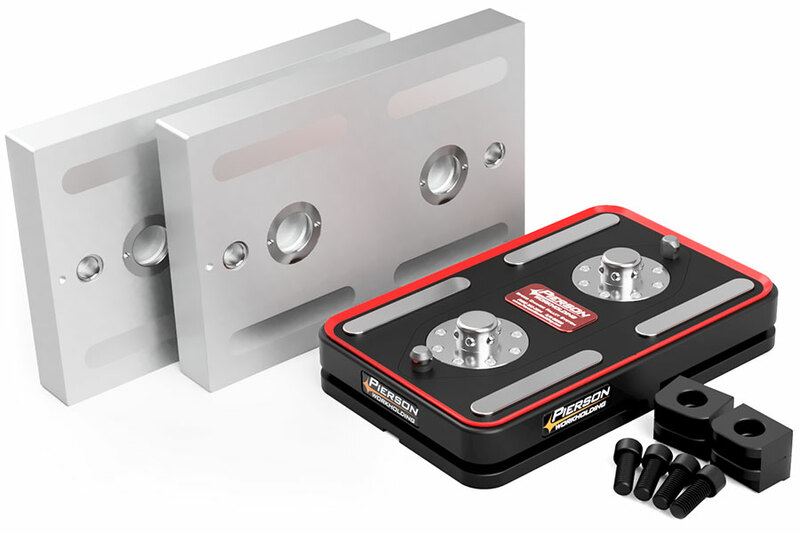 These spring powered locks keep your pallets in place even in the loss of air pressure. 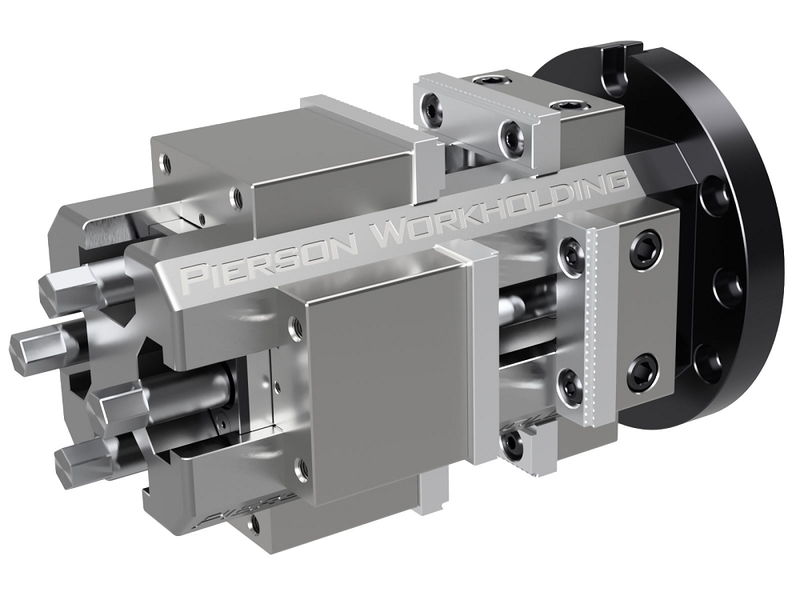 The benefits of high density workholding are now available for every sized machine and with a lower starting cost. It might be smaller but the combination of hard anodized aluminum and hardened stainless components mean it’s just as tough as our larger Pro Pallet System. The single radial-bearing locking mechanism provides over 1500 lbs of downward locking force. The spring powered lock keeps your pallets in place without air. Take 60 seconds to watch how innovative workholding can get more done with less time and effort. Then browse our products to see what’s right for you.